NAD C446 review | What Hi-Fi? When we first reviewed this NAD, the Marantz NA7004 was the same price. While it couldn’t match the NA7004 for sonic excitement or features, the C446 offered a different delivery with its own charms. Now, with the Marantz costing £265 less, this NAD is decidedly less charming. The audio presentation hasn’t changed at all, of course, and those who like it smooth will find much to love. Like the Denon DNP-720AE, the NAD favours fluidity and refinement over attack and excitement, but the C446 also has a subtlety that its £250 contemporary can’t match. The way it handles small-scale dynamics makes it the perfect foil for the nuance of a stripped-back acoustic recording such as Bonnie Prince Billie’s Wolf Among Wolves, and it’s perfectly capable of digging up the fine detail that breathes life into live sets. However, the NAD can’t match the Marantz for timing or attack. We could forgive that when they cost the same, but that price gap makes it a real problem. What’s more, this expensive unit is also the least well-specified. 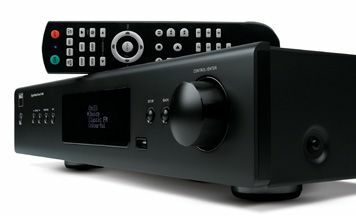 The NAD has built-in wi-fi, internet radio and Last.fm, but it lacks AirPlay and support for 24-bit music; and if you want to connect an iDevice, you’re going to need to fork-out extra for the dedicated dock. There’s no first-party control app, either, and we found using the standard remote to be a rather fiddly experience. In this shaken-up class of streamers, the NAD now looks expensive, under-specified and sonically subdued – and that’s not a combination that sits well. Hence a drop to three stars.